HealthChoice Tennessee, Methodist Le Bonheur Healthcare, and MetroCare Physicians partner with families, employers, insurers, and physicians to improve healthcare experiences and manage the cost of that care. Formed in 1985 and reorganized as a true joint venture Physician Hospital Organization (PHO) in 1997, HealthChoice works collaboratively with physicians and Methodist Le Bonheur Healthcare to improve healthcare quality, safety, and outcomes for patients, while increasing efficiency and satisfaction for physicians. As the largest clinically integrated network in the Mid-South, HealthChoice works closely with more than 1,000 area physicians, in addition to our partners in the Methodist Healthcare system. HealthChoice’s unique product offerings -- a clinically integrated network, population health initiatives, credentialing, managed care contracting/provider services, and medical practice insurance programs -- allow us to work collaboratively with our partners to deliver powerful, comprehensive solutions to ensure future success. Alongside our premier network of physicians and facilities, our population health team is committed to partnering with patients to keep them and their family healthy, providing quality support and access to what they need, while reducing healthcare costs. Together we are a premier network of physicians and facilities committed to improving healthcare quality, safety, and outcomes for patients, while increasing efficiency and satisfaction. 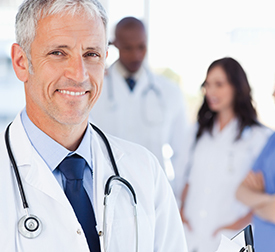 Our unique, coordinated approach of services, physicians and facilities provides members with customizable solutions that yield high-quality, cost-effective care.